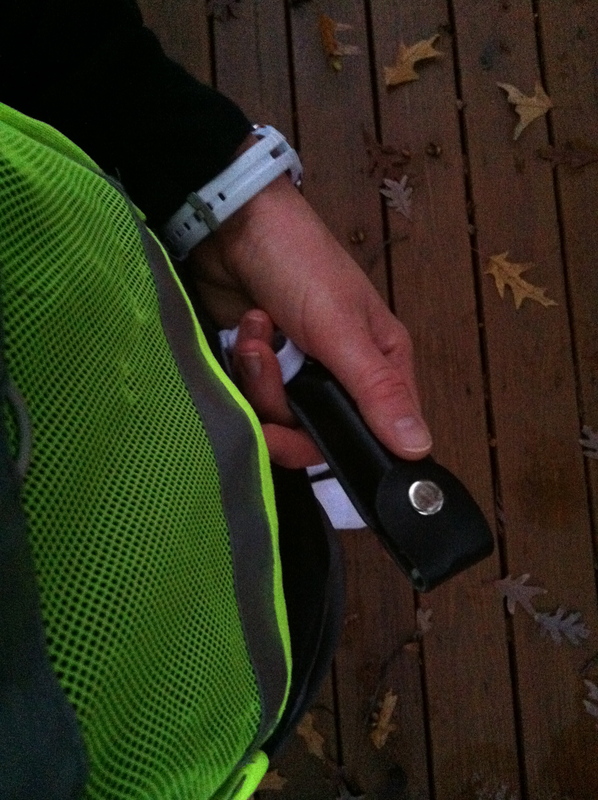 Wear reflective clothing – I wasn’t sold on this one even though I knew I should. 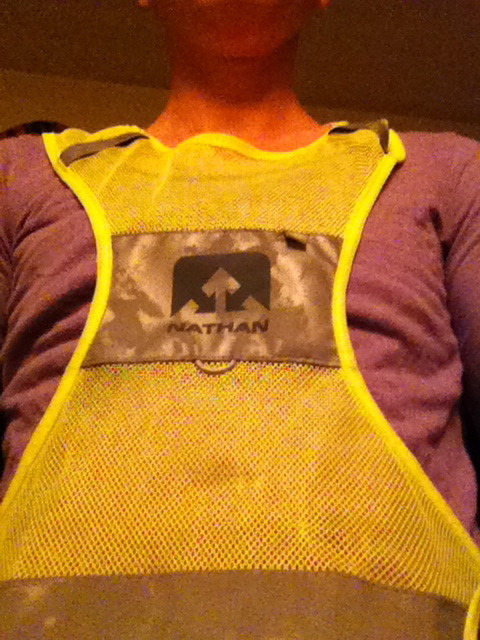 The Mr. purchased me a reflective vest which I do wear 99% of the time. I don’t like to since I like to be a rebel when I can, but he threatens me really encourages me to do so. Carry pepper spray – This is hopefully unnecessary, but it certainly gives you a boost of confidence in case of any dogs/people that are unwelcome on your run. I loosely tie mine on my shorts drawstring. I’m sure there is a better product/method, but I’m cheap. It works. The end. Don’t listen to music – I break this rule as I really need music to motivate me especially on those cold mornings. I will turn it down lower than I would typically listen to it and take out one earbud. That way I can still hear the music but also my surroundings. Always change your route, be unpredictable – On morning runs, I just run for the fun of it. I don’t worry about time. Just check my watch to be sure I’m going to be home in time. Safety first. If your unpredictable, then less likely for a Mr. Bad Guy to be lurking in a large bush or something. Pack Your Bad Words – Once I was running and a guy decided to be funny and rev up his car as it was sitting in his driveway. Well, this certainly startled/scared me, so I rattled off a string of bad words. This made me feel better, and the look on the guy’s face was priceless. It’s nice to surprise people, and sometimes a cuss word carries just the right amount of weight to tell someone you mean business and you-better-not-mess-with-me. 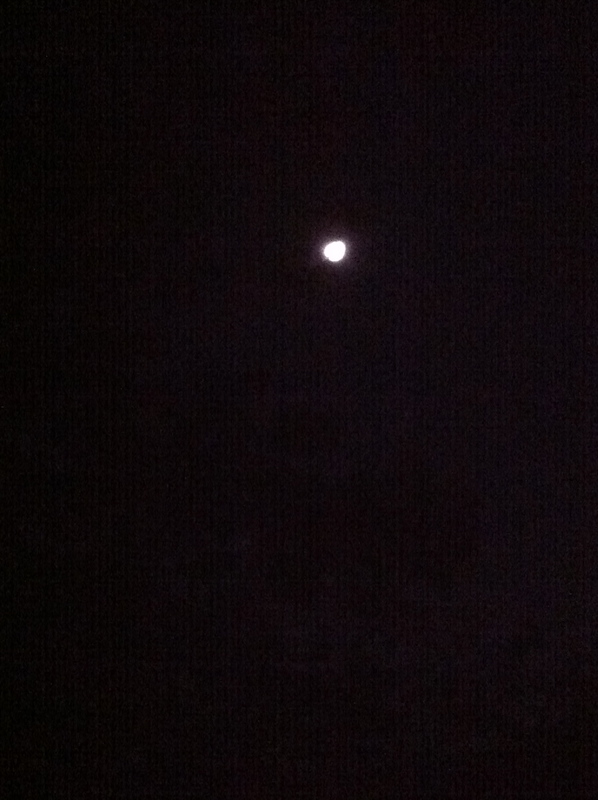 Now, I know running at dark can be dangerous. I don’t make a habit of it. If you can run on a nice well-traveled trail in the afternoon, good for you! I try to make it as safe as possible. Plus, who could miss out on the moon as a running partner? This entry was posted in Uncategorized and tagged Dawn, Night, Night Run, running, Tips. Bookmark the permalink.